“A strong education is the foundation to success, and we are proud to empower the future stars of our industry through Vidal Sassoon’s namesake scholarship,” said Sal Mauceri, Senior Vice President North American Coty Professional Beauty and Global OPI. The Vidal Sassoon Professional Beauty Education “Basic” Scholarship Competition is now open. From now through April 10, the Beauty Changes Live Foundation and Wella’s Hairdressers at Heart are accepting student applications for the chance to win financial assistance and professional exposure. Honoring the legacy of Vidal Sassoon, the scholarship competition is open to cosmetology students who are currently enrolled in an American Association of Cosmetology Schools (AACS) member school in the U.S. or Canada. Introduced six years ago, the Vidal Sassoon Professional Beauty Education Basic Scholarship Competition will award students up to $7,000 in tuition scholarships. Beyond the tuition gift, students will receive exposure in professional beauty media outlets. Basic scholarship applicants must submit a YouTube video link answering the question, “Why is beauty your passion and how will your career in beauty fulfill your purpose?” Details for applying and examples of previous winners’ video applications may be viewed here. Added Sal Mauceri, Senior Vice President North American Coty Professional Beauty and Global OPI, “A strong education is the foundation to success, and we are proud to empower the future stars of our industry through Vidal Sassoon’s namesake scholarship.” Winners of the Vidal Sassoon Professional Beauty Education Scholarship are selected by a panel of industry judges who consider applicants’ passion for the craft of hairstyling and their vision for using a career in beauty to change lives. 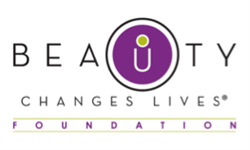 With a mission to elevate, educate and empower, Beauty Changes Lives is uniting the industry and building awareness of the extraordinary career opportunities in the beauty, wellness and massage therapy industries. Learn more at http://www.beautychangeslives.org or find us on Facebook. Coty is one of the world's largest beauty companies with approximately $9 billion in revenue, with a purpose to celebrate and liberate the diversity of consumers' beauty. Its strong entrepreneurial heritage has created an iconic portfolio of leading beauty brands. Coty is the global leader in fragrance, a strong number two in professional salon hair color & styling, and number three in color cosmetics. Coty operates three divisions - Coty Consumer Beauty, which is focused on color cosmetics, retail hair coloring and styling products, body care and mass fragrances sold primarily in the mass retail channels with brands such as COVERGIRL, Max Factor and Rimmel; Coty Luxury, which is focused on prestige fragrances and skincare with brands such as Calvin Klein, Marc Jacobs, Hugo Boss, Gucci and philosophy; and Coty Professional Beauty, which is focused on servicing salon owners and professionals in both hair and nail, with brands such as Wella Professionals, Sebastian Professional, OPI and ghd. Coty has approximately 20,000 colleagues globally and its products are sold in over 130 countries. Coty and its brands are committed to a range of social causes as well as seeking to minimize its impact on the environment. For additional information about Coty Inc., please visit http://www.coty.com. Sassoon Academy offers its celebrated, industry-leading philosophy and courses worldwide through its renowned Academies, and instructional DVDs and books. All classes are developed and designed to be contemporary, relevant and forward thinking and are delivered with passion, commitment and technical excellence. 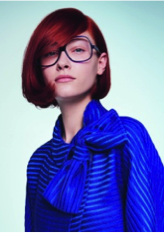 The aim is to share the knowledge that is gained in the development of our craft and ensure that our students gain real commercial skills from our courses, as well as take away a piece of the culture that created Sassoon. To learn more about Sassoon Academy, visit http://www.sassoon.com or follow us on Facebook: facebook.com/SassoonAcademy, Twitter: twitter.com/SassoonAcademy and Instagram: @sassoonacademyofficial.